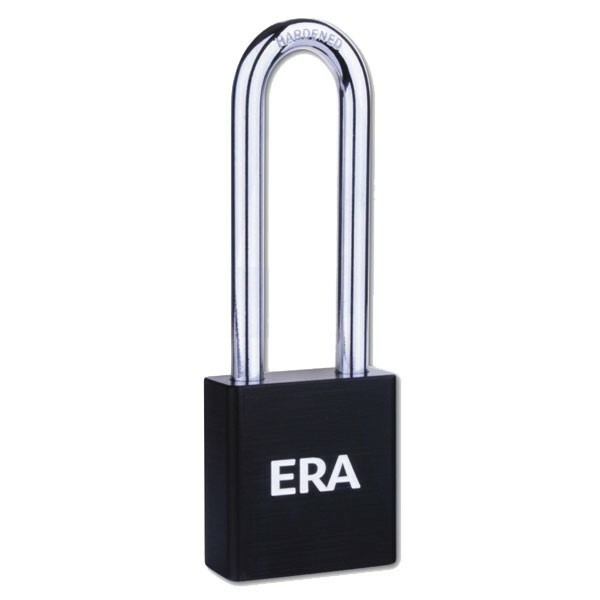 This high security padlock from Era features an aluminium lock body, a hardened steel shackle (to protect against bolt cutter attack) and a 6 pin brass cylinder. Features: Aluminium lock body. Hardened steel shackle protects against saw and bolt-cutter attack. 6 pin brass cylinder.